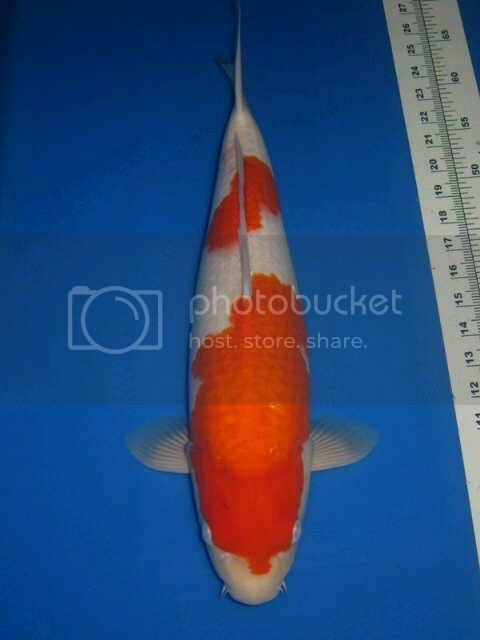 The most recent Japan shipment have seen many koi farms brought in quite a number of so called 'Jumbo Tosais' from different Japanese breeders for sale. The sizes ranges from 35cm to as big as closed to 50cm. Of course the prices are also on the high side ranging from S$1K to S$3K per 'Jumbo Tosai'. Some of them come with certs, some don't. What are the traits and characteristics to look out for, or just believe the farm owners' words? Can it be some of these so called 'Jumbo Tosais' are actually those tail end Nisais, and are being sold as Jumbo Tosais because they cannot be sold off Nisais due to their small size if they are deem Nisais? 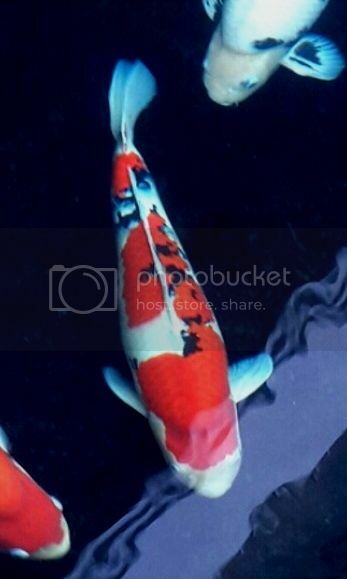 Do appreciate Koi Kichis here that have lots of experience with koi keeping and have some encounter with Japanese breeders share some of your knowledge and insight with regards to this topic. Really hope that there is participation on this subject and not another empty thread again.Thank you. jumbo tosai are kois that kept at concrete pond with heater and fed during winter season in japan so they grow more than the rest. Would be also good to include fast growth rate and the effect on lifespan into the discussion. Hi bro han, Thanks for your feedback. You pointed out one thing thats very critical....'just put trust on those breeders'. My highlight here is do we just trust the words of the breeders and our local distributors. They show us a batch of fish that they term them as jumbo tosais, but how are we to be sure and what to look out for that we are not getting a smaller nisai that is of the end of the previous year? Example is if I buy a Tosai from my local distributor today of which the size is 45cm, and he told me it's a jumbo tosai and it's from June 2013 batch which falls nicely to what your breeding month of Mar till Aug window. 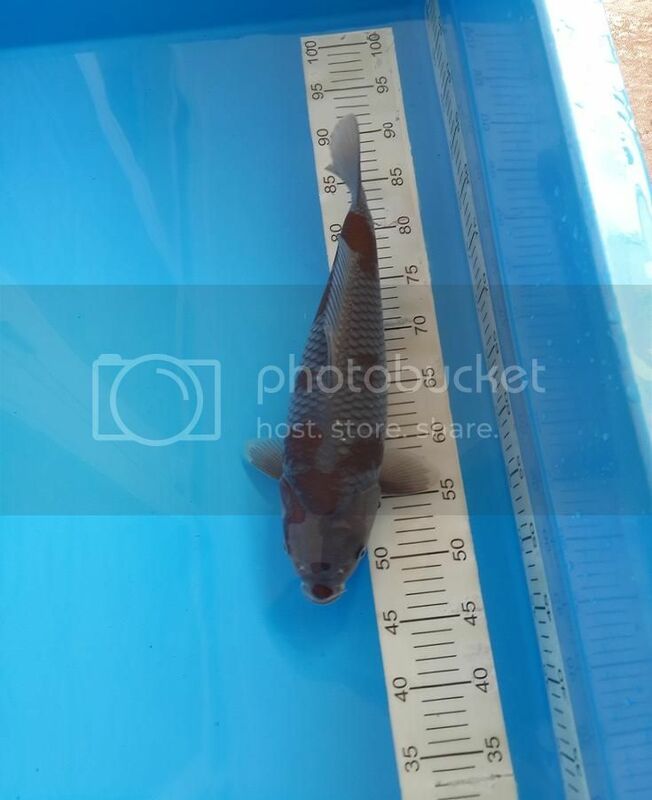 How can I tell he's telling the truth or that he himself is not 'conned' by the Japanese breeder as well, that this fish could be well be from Sep-Oct 2012 and that it may be well be just a small size nisai instead? What to observe to tell? Some hobbyists told me by grabbing the body of the fish if it feels hard and sturdy at both top and botom, it's tosai. If it feels soft at the bottom, it's already a nisai. Others like what you said, the pectorals should look more transparent. Very nice growth bro Han. I too believe the breeders stagger their fry releases - low grade (17-20cm), medium grade (35-50cm) jumbo tosais and high grade (nisai). The difference between 20cm to 50cm is only a couple of months so it makes sense in terms of economic gains to grow them to jumbos. 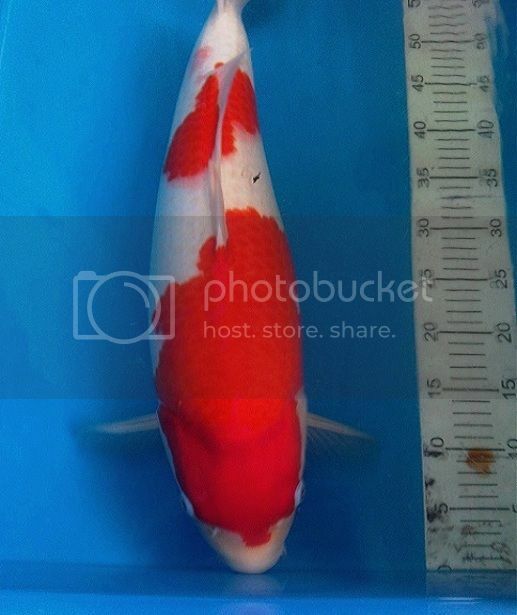 that are prices for very good quality top breeder JT (sakai, momo, or dainichi), but even i've never heard tateshita JT for S$3k, i believe this is the price for show tosai or tategoi tosai (one that suppose to be go in nisai mud pond) that being sold because of good relation between dealer and breeder or maybe auction price. one more thing u could ask the local dealer when the JT arrive from japan, if it came at december or january, i think the koi is not tosai anymore. well its really difficult to differentiate tosai and nisai.....few points already noted by bro han (pinkish shiroji, clear fin....). i will also look at the eye...must be not bulging eyes, beni also i prefer so so and not too sharp...but all and all, trust to the distributor or breeder is the key. Hi Bros, Thanks for your contribution and feedback. Quote " How can I tell he's telling the truth or that he himself is not 'conned' by the Japanese breeder as well, "
I think we can trust the Japanese breeders , it is the local distributors that you should be careful with. Again if you have dealt with the local dist long enough , you would know. Jumbo tosai does not mean the koi will grow jumbo, it depends on the gene and kept environment. During breeding , some babies will grow bigger than others , these are " natural jumbos" , with better chances to grow big. And if these are good quality, will most likely be kept to grow on nisai , and not sold as tosai. Most jumbos tosai we see are "raised jumbo" , they are luckier to be kept and grown over winter. If the jumbo gene is not present , they and most will , grow to same size as their less lucky bros and sisters later at nisai / sansai stage. So having know this , personally if i would be paying the same for a choice of jumbo tosai or nisai , i would get a nisai. Thanks bro ts for your inputs. I am very glad you made this statement that jumbo tosai does not meant the koi will become a jumbo koi. Logical , more likely for a karashi or chagoi , non gosanke. Seldom if any see it locally with a gosanke. I have a karashi growing like that , now Yonsai abt 87+cm from tosai. It is good to have patience to grow kois . Exactly. Bcos this person does not believe the sakai sanke I got is a jumbo tosai at 44cm (spawn May 2013 as per cert) and insisted is a tail end undergrowth nisai. Hence he used the analogy that I described above and told me that if mine is really jumbo tosai, it should grow in that manner. I until today, I am trying to grasp what a Jumbo Tosai is? Definitely not Jumbo growth potential. From what I gather, Jumbo Tosais are those that are significantly bigger than their peers. How this come about? This can be a lengthy discussion, but nevertheless, we can discuss this later. TQ Bro Shukri for your insights. You are very right. Most of us hobbyists have got conned before in on way or another. But we should learn as we progress. I've kept such nisai before, bought at 30cm. 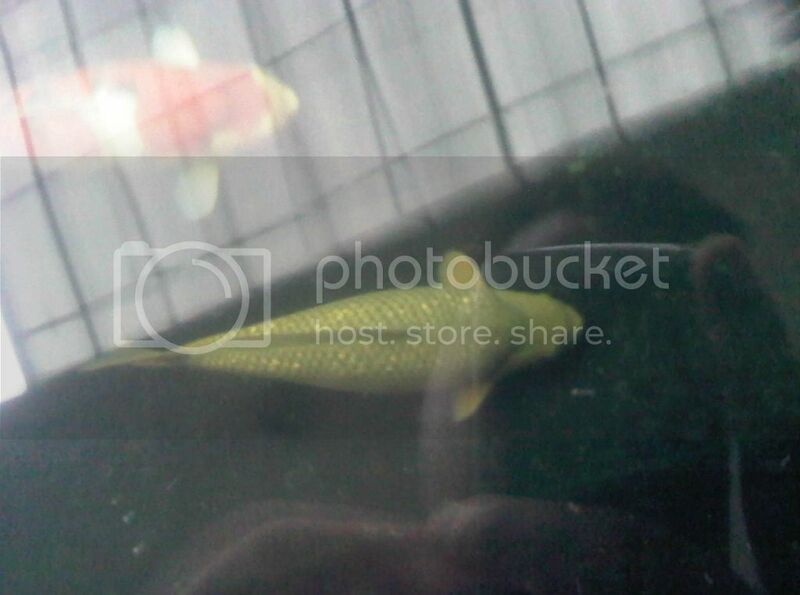 (bought in Jan) but she was able to reach 60 within the 1yr in my pond, and subsequently 70cm in the next year. Maybe it is an exceptional case. 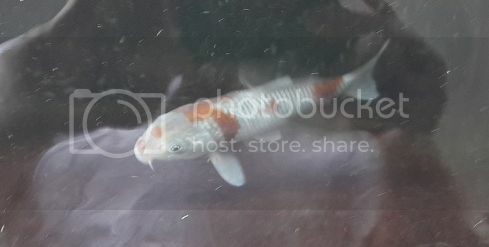 In fact, I believed many of the fresh imports 30-40 cm koi avail in Dec/Jan were such nisai, and they have been performing well in growth rate for many hobbyist. However, if dealer import the tosai at 15-20cm in Oct, they will reach 30-40 in our water by Dec/Jan. use eye to choose fish...not ears. forget about the name, forget about the cert. the rest of stuff, just ignore it! Jumbo tosai doesn't mean become jumbo immediately, it will take time to groom them. I also agree with Sifu Bros that a trusted dealer, who knows his koi, counts most. 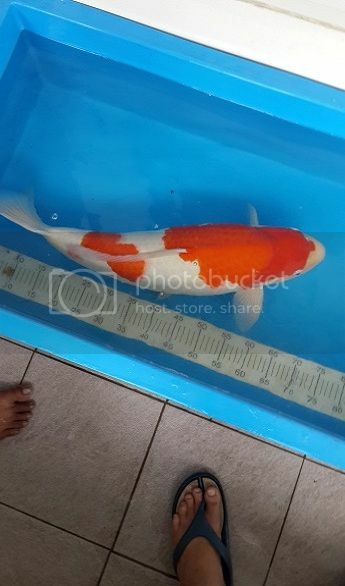 In my 1st hobby year, I used to buy quite a lot of gosanke "jumbo tosai", but after 2+ yrs the biggest koi (sanke) was around 61cm. On hindsight, I should have guessed from the pricing as well. I almost give up on my 3-ton pond, until a dealer asked about my situation and showed me 2 sanke from an overcrowded pond. 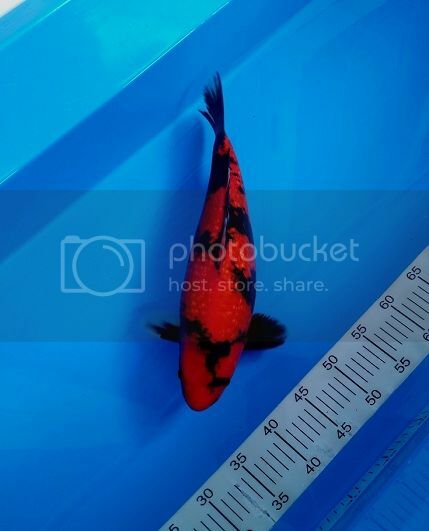 I was very hesitant when he told me they were male, nisai (18 months) and measured only 30cm... but the dealer said no harm trying. It's not jumbo by any means, but it's a good feeling to grow out the fish and hopefully more years to come. bro wklim..inspiring story......3ton can grow 75cm...superb keeping must be! do u have recent pict of the sanke? note: kohaku on top is stunning piece also. Bro, the "kohaku" is actually a male sanke ;) Also in my pond, but not growing at fast as the above piece. Bro, we are discussing on gosanke here. Thanks Sifu Shukri, it's a good jumbo potential. Only problem, beni strecth even if i control feeding and feed color food. So for now going slow for this lady. can it still have good skin and overall quality if growing that fast? Nice Hi and sharp Kiwa as well. But this khk may remain short and stout. 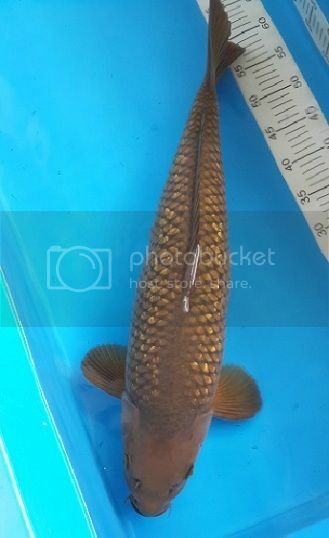 I feel also that the maruten kohaku may look short for the reason that its nose is too short, with a massive upperbody and a shorter body frame. 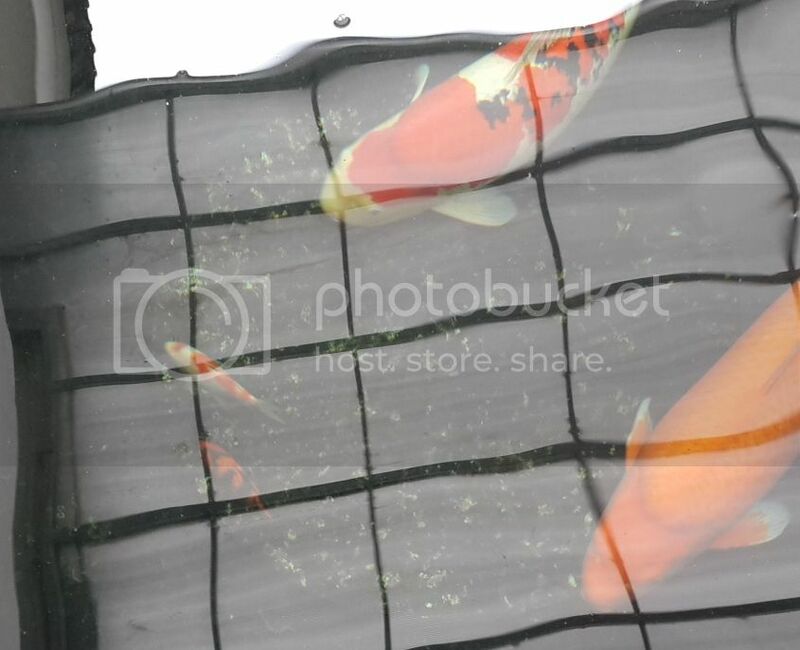 However, I have seen Dainichi kohaku that were more girthy and breeder still confident that koi can reach jumbo given the right environment. I still believe though in a small to medium size pond 15 to 40tons, it will be easier to raise jumbo with a bloodline that grows long first then add girth at a later stage. In very large pond where koi gets to exercise more a girthy koi can grow faster and better chance to reach jumbo without problems. Just based on first impression when I looked at the broad girth of this tosai and at the angle the picture was taken. If have opportunity to see the real fish, my opinion may be different. Nonetheless a stunning looking khk jumbo tosai. Should win more prizes in her days to come. Is it from momotaro? This is my Sakai sanke that made me to start this thread. <blockquote rel="Kekwa">Nice Hi and sharp Kiwa as well. But this khk may remain short and stout. and if i may know, why is the kohaku may remain short and stout? <blockquote rel="Kekwa">This is my Sakai sanke that made me to start this thread. 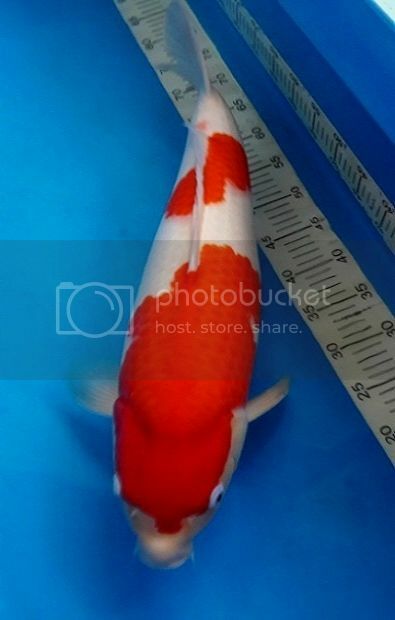 I dont get the fascination with girthy koi at a young age and then size possibly stalls in length instead of koi that grow faster in length first then possibly not girth? To make a koi girth once its metabolism slows down is easier compared to make a koi with slow metabolism grow. Many hobbyist here like matsunosuke sankes as compared to Malaysia, singapore, etc. That's the beauty of this hobby............different hobbyists prefer different things. That's how the world evolve. If everyone likes a Toyota, then the other brands will vanish with time. I do not believe there is a big percentage of hobbyist who do not like jumbo. The fact that farms that are consistently able to produce high quality jumbo koi attest to this observation. However if there is a choice of choosing a poor quality jumbo vs a high quality smaller koi, then the smaller higher quality koi wins. 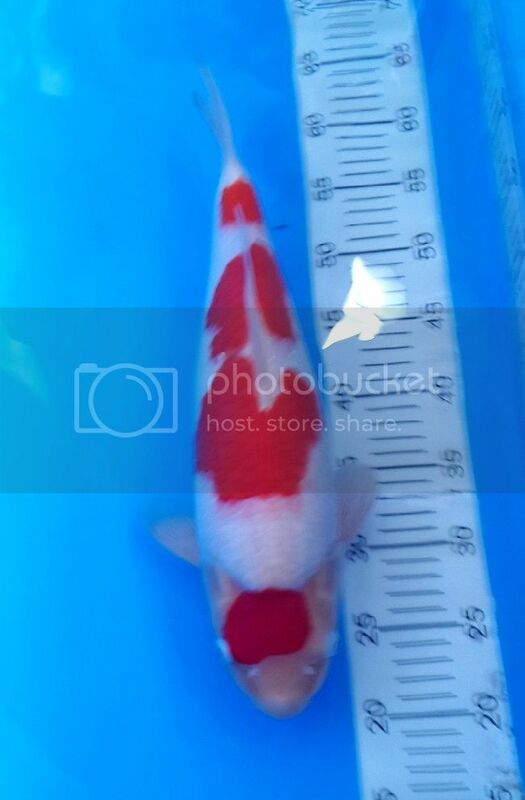 The key IMO in aiming for high quality jumbo gosanke koi without breaking the bank is to forget about koi show and even go with unpopular pattern as long as the signs of jumbohood and high quality longer lasting skin is there. <blockquote rel="Shukri">That's the beauty of this hobby............different hobbyists prefer different things. That's how the world evolve. If everyone likes a Toyota, then the other brands will vanish with time. 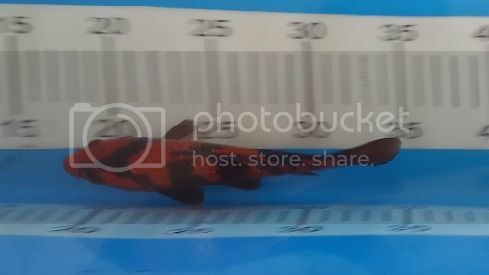 <blockquote rel="HDCu">I dont get the fascination with girthy koi at a young age and then size possibly stalls in length instead of koi that grow faster in length first then possibly not girth? To make a koi girth once its metabolism slows down is easier compared to make a koi with slow metabolism grow. Question: why are both priced the same? Why is the award winning tosai with great pattern not kept by breeder for another year to be sold for at least 600k? Why is some simple pattern tosai being sold by the breeder/dealer for same price as well? 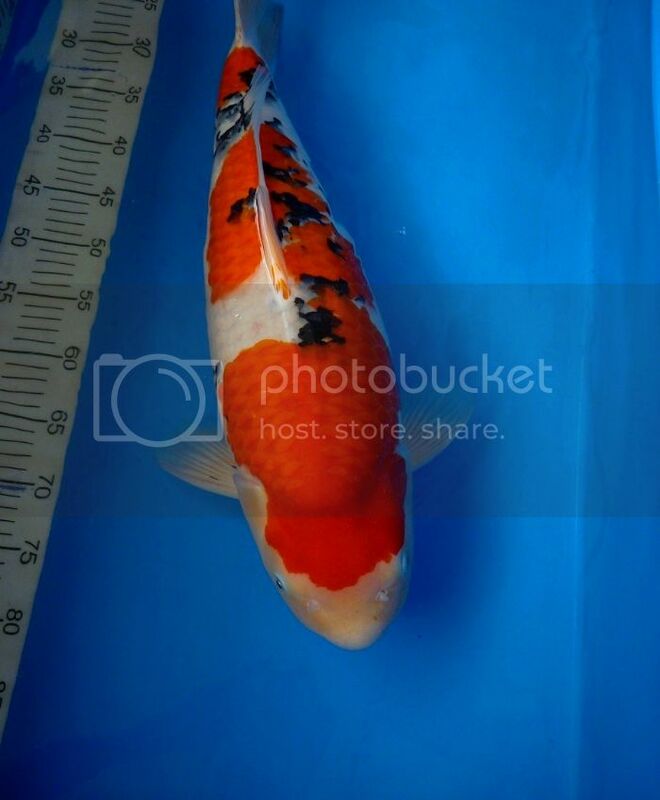 300k yen tosai is considered very high quality koi with most famous breeders in Japan and can even be put in the mudpond already to be raised as nisai however these prices are not yet the top ten ranked tosai yet. 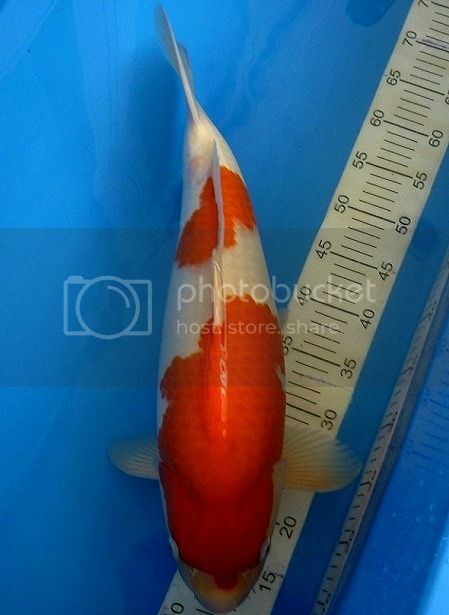 Now if the breeder thinks a koi has good skin, good girthy body and great pattern and a female enough for it to win easily in a koi show in smaller size then 300k is justifiable. 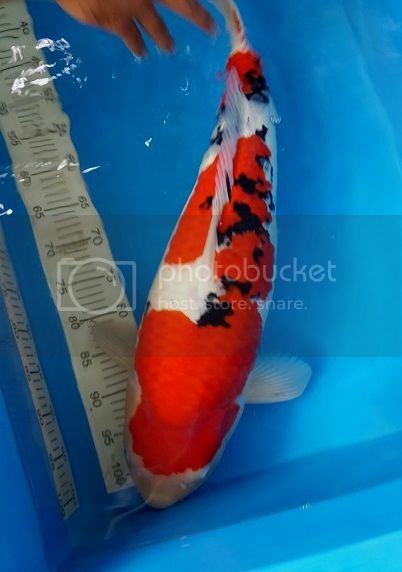 If the breeder thinks a female tosai has good skin, good body conformation for its size based on his knowledge on his bloodline, with great potential to ba a big beautiful koi in the future even if it does not win a koi show then he will price it 300k as well. 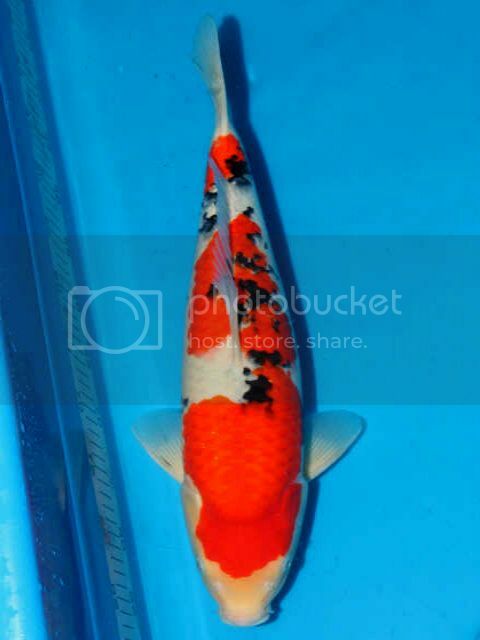 If we are talking about what would have a chance to win in a koi show then the first one has higher chance. If we are talking about whats the bigger chance one ends up with a high quality jumbo in the future then the latter is more appropriate choice. If you want both jumbo and big chance to win as GC then prepare to spend more. if you guys cant get good prospect jumbo tosai fish with award winning patern @300k, i think you guys seriously need to find a better pricing dealer. care to give explanation for us what makes both of our kohaku cant grow jumbo? For a minute there, I thought this is a Doitsu Sanke......... I cant really see the scales. With regards to Bro @Kekwa original question, just to share a photo of my 3 koi fries at 1 month old, all of which were born on the same day from the same parents. As you can see the size difference is really significant even at this early age. <blockquote rel="nivek">With regards to Bro @Kekwa original question, just to share a photo of my 3 koi fries at 1 month old, all of which were born on the same day from the same parents. As you can see the size difference is really significant even at this early age. yeah actually there will be a canibalism among them if the size has significant difference so you dont see the smaller ones. Wow bro han, your grooming skills solid! A bit of history first... back in Apr'14, four kohaku tosai (8 - 10 months old) went into my pond when they were around 30cm - 32cm. Three of the bigger ones were from a well-known breeder and supposedly jumbo tosai batch. The dealer then recommended a fourth tosai from another pond by his regular breeder. It was the smallest at 30cm and also has pale yellow beni, but I liked the kucibeni pattern and overall package. It's probably not clear from the picture/video, but other than size, the difference in skin quality is also visibily obvious now. They were grown from around the same size/age, fed the same food and subjected to the same environment. Yes, it was a really exceptional koi which surprised everyone. Very nice body and hump on the kuchibeni. Still a long way to go so don't give up on the other 3" jumbo" tosai :-)) more surprises to come ? Are they from Hoshikin ? male/female ? Thank you, Bro TS! 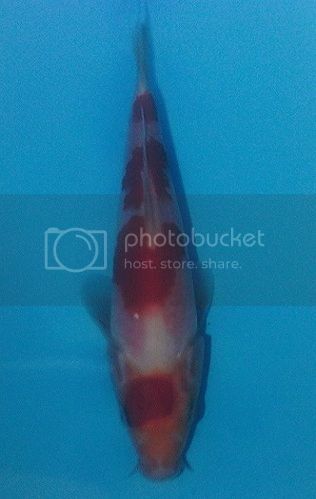 The kuchibeni was from 2013 breeding season, but I only got her from my dealer in Apr'14 @ 30cm. Yup, no intention to give up the other 3 kohaku (all females) from Igarashi. They are now 55cm - 58cm and still in good shape with nice red beni contrasting against good white ;) I'm keen to observe the development over the years. Yes bro, I think it helps greatly to have the right dealer/breeder support, while learning a great deal from them and senior hobbyists. There's some question mark around the secondary hi on the second step, but I think it's worth the risk considering the overall quality looks good to me... I was told it was never fed colour food as well. So the kuchibeni is from another farm? a) The 2nd step - sashi and kiwa both seems to have secondary hi . More to come or will it consolidate. b) The head looks short due to short distance between eyes and mouth. c) Body at shoulder and tail ozutsu looks weak , unlikely to grow big. and we all learn something. Thanks a lot, Bro Kekwa! 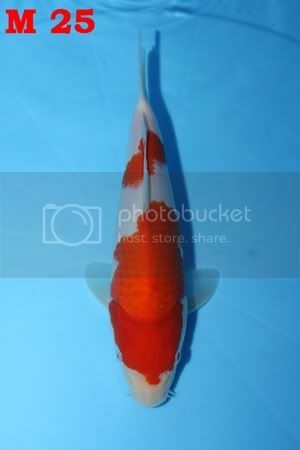 :) The kuchibeni is from Murakami koi farm and supposedly from Benkei (36th All Japan GC) lineage. The story is that Murakami bought Benkei as a small nisai from Sakai FF, then sold her to a famous JP hobbyist and groomed her till crowned GC @ 91cm. 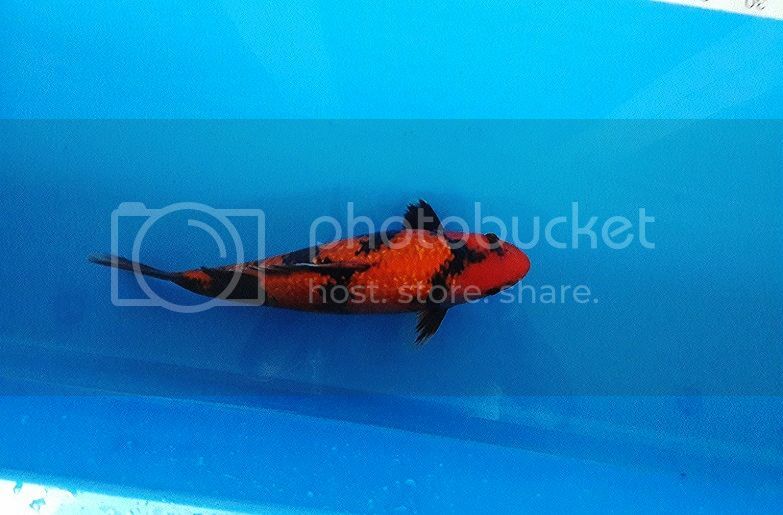 Benkei then became a parent koi for Murakami. How do I know? My dealer was apparently invovled, having drove Benkei for 16 hours between the farm and show grounds! I appreciate your honest thoughts :) This sanke tosai is also from Murakami koi farm. Believe it or not, these same thoughts crossed my mind earlier when seeing the fish for the first time. But my thoughts shifted upon seeing that it has one of the most promising shape and pattern, compared to other siblings in the batch. No denying that I also place certain trust in my dealer's recommendation. I hope you are wrong too :D but I really doubt we will see another exceptional example (the kuchibeni really slipped the net.. luckily into my pond!). Frankly, I think it's anybody's guess how the fish itself will develop over time. I will be well pleased if it can show improvement all round and any surprises will be a bonus. Now the secret is out , why you wanted the sanke. Looks like i will be wrong on the sanke. So now for you to make it good :-D . We seldom see murakami kois here in Msia i think but the story is fascinating , thanks for sharing .